Apparently my bike felt left out, and wanted to get in the game of things that are failing. Riding home from downtown last night, very late, hit a sewer cover pretty hard (it was hard to tell how uneven it was at night) and busted my battery rack. It was not a catastrophic failure, but the rack lowered down to the tire and started dragging. Enough that I had to stop and figure it out. So I was sitting on the ground in the parking lot of the Jolly, with the bike almost completely disassembled. 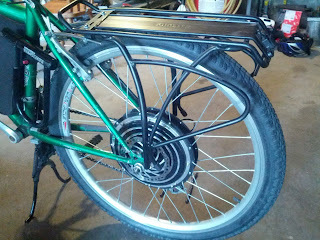 Bike rack, sans busted lower brackets. The bottom part of the rack attaches to the frame via a tapped tab, and an L shaped, aluminum bracket with graduated tapped holes. 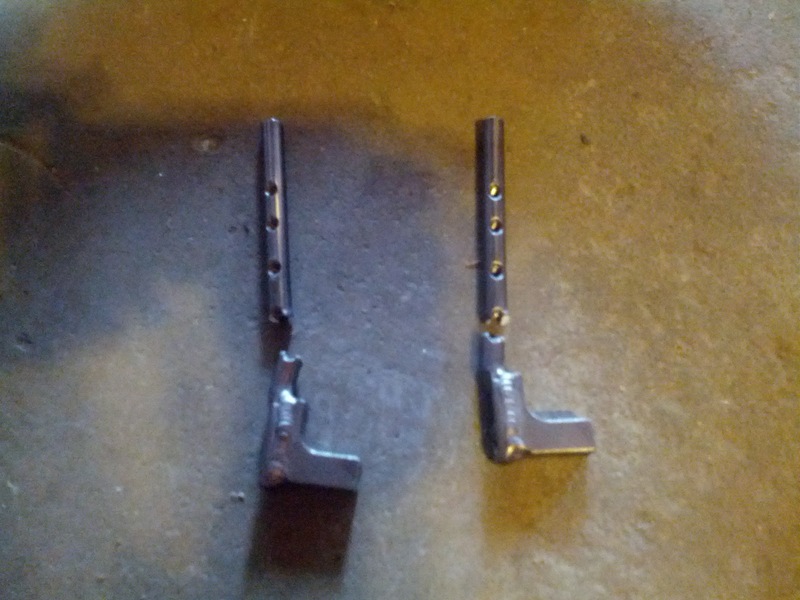 The aluminum obviously saw quite a bit of impact load when the 30 lbs. battery came slamming down. This is the second rack I've bought, and I'm really not interested in spending more money to deal with this issue. (But I probably will have to). 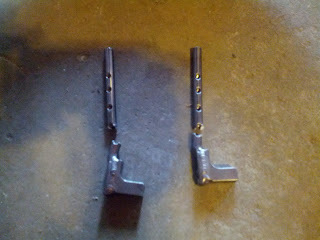 Wondering if maybe I can make a custom, tougher piece to clamp the rack right where I want it. If I only had a welder... Or a lighter battery.